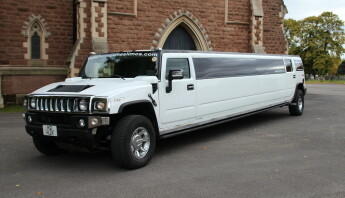 Home James Offers the ultimate in stretched American Limousine hire, with vehicles including a Pink Limo, a Hummer Limo a 4x4 Jeep Limo and new shape White Limos. 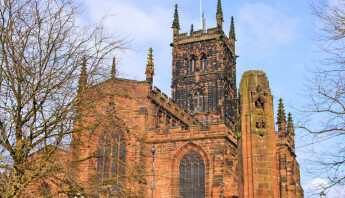 We offer Limousine hire Birmingham, Limousine hire Solihull, Limousine hire Tamworth Limousine hire Walsall, Limousine hire Sutton Coldfield, and can provide transport for any occasion and to any destination. Whether you are looking for an impressive Limo for your West Midlands Prom a Wedding car, or just a stretched Limo to impress your friends, Home James can not only provide the car, but also competitive rates and a friendly professional service. You’ve spent a lot of money on your appearance, your school has laid on a swanky venue, and you want to complete the picture, by making a magical entrance. Arrive in movie star style for your Prom, the most important event in your school year. We have White Limo’s, Pink Limo’s, Limo’s for up to 8 passengers, and Limo’s for up to 16 passengers. Enjoy a leisurely drive to your prom venue, and make the most of the wicked super loud sound systems, ( on which you can play your own music ) D.V.D. players, and cordless Karaoke. 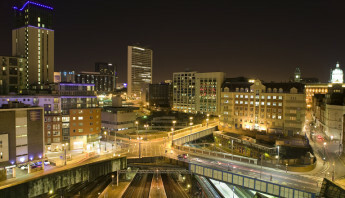 Neon lights, Laser lights, starlights and more, means our limos are the nearest you will get to a nightclub on wheels. Our friendly professional Chauffeurs, have years of experience in providing prom transport, and are all licensed with Birmingham Council. They don’t object to the music being cranked up, and will make sure you thoroughly enjoy your time in the Limo. In addition to being taken to your Prom, we also offer a heavily discounted return journey, to make sure you arrive home safely, and to ensure that the party continues after your Prom finishes. 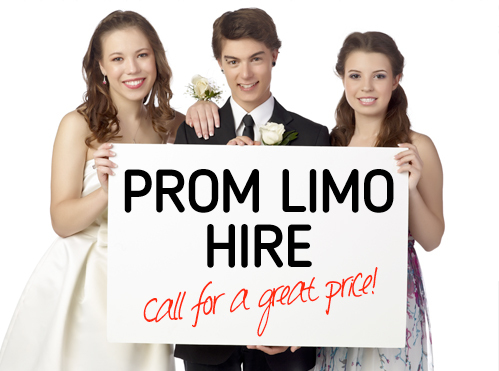 We only require a small deposit to book, with the balance payable to the driver on the night of the Prom. Our very competitive prices mean that if you split the bill with the other passengers, you could be paying as little as £27 PER PERSON, to make the ultimate entrance, whether your prom is in Birmingham, Walsall, Dudley, Solihull, Tamworth, Lichfield or any of the other areas immediately surrounding Birmingham. For a small additional fee we also cover proms further afield such as Nuneaton, Coventry, Redditch, Bromsgrove, Northampton, Rugby, Derby and Nottingham. Call for a quotation. We also cater for Junior School Proms, and if Limo’s aren’t your thing, how about hiring a chauffeur driven Mercedes (used by some the ‘Britain’s got talent judges). Fill in the ‘Quick Limo Quote’ on the Home page, or call for a no obligation quotation.